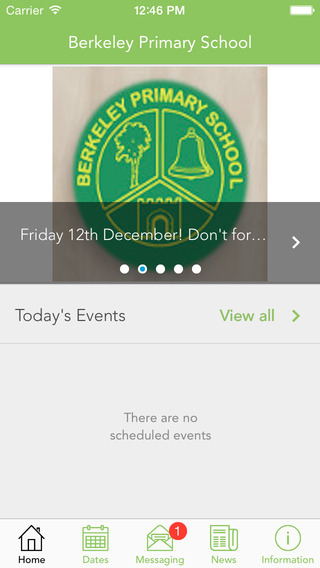 If you have a child at Berkeley Primary School you can have your own personal view of the full calendar of events, activities and school news.No more out-of-date paper calendars, searching through letters from the school or browsing the website – everything you need to know, when you need it, at your fingertips! Key features of the current version: - View the school calendar and make it more relevant to you by using the calendar filters and save them to your calendar- View the school news- Receive important messages How to Use the App At the bottom of the screen there are five tabs:Home:See a summary of the latest news and today’s news. You can click on the event it will take you to the full event details. The latest five news items can be scrolled through to view the headlines, you can click on the headline to view the full news story. Calendar This can be viewed in two ways; as Month To View or List View. 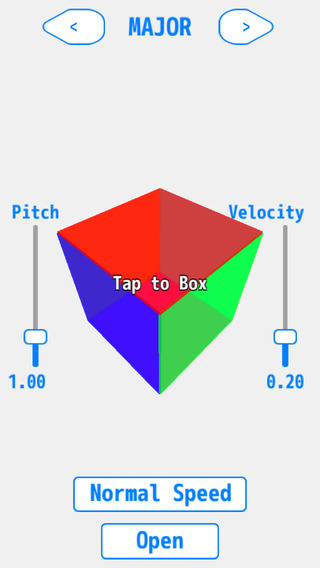 You can switch between these views using the icons in navigation bar at the top of the page. On the centre left is a small calendar icon and on the right is a small list icon.When using the Month To View and one of the dates is marked by a dot, this indicates that there is an event on that day. If you tap on that date, you will see the event appear below the calendar. Tap any event to see more detailed information and a map of the event location (if applicable).In the List View, you can scroll through all this months events, in date order. Again, you can tap any event to see more detailed information and a map of the event location (if applicable).You can even import an event into your personal calendar from your app, if you select the import icon. Please note that if an event is altered in this calendar it will not change the details in your personal calendar unless you re-import the data.MessagesShows you all the messages for your school or organisation. Also within this section you can assign yourself to personalised message groups, simply click on message groups to activate and deactivate which messages you would like to see. News Shows all the latest stories from your school or organisation. If you tap on any news item you will be able to see more detail.Information:In this tab you can view the schools documentation (if applicable ) such as there prospectus, news letters and links to further website links to more information. You can also share the app via email and social mediaCalendar Filters:Clicking on calendar filters, this gives you the opportunity to only see those calendar items that are relevant to you by selecting the Departments and Activities the app will display.----Berkeley Primary School is for iPhone, version 7 and above.Copyright © Apps Central Ltd. All rights reserved. The design of this iPhone application is fully protected by copyright and may not be reproduced without permission.